President Donald Trump will sign a memorandum today to strengthen computer science education in schools, Press Secretary Sarah Huckabee Sanders announced during a press briefing on Sept. 25. The memorandum will mandate that Secretary of Education Betsy DeVos provide $200 million per year in grants for science and technology education to strengthen STEM programs in schools, and to add computer science to the curriculum in K-12 schools. “We need better schools and we need better jobs for everyone,” Sanders said. Sanders said that the announcement honors the anniversary of the day that Central High School in Arkansas was integrated by the “Little Rock Nine,” nine African-American students who were the first to be admitted to the all-white school. The memorandum is meant to offer STEM opportunities to underserved students such as minorities and women, according to Sanders. Trump’s memorandum would continue a trend started by the Obama administration’s Computer Science for All program, which sought to offer every student hands-on computer science and math classes that prepare them for careers and science and technology. The program specifically targeted minorities and girls, who are underrepresented in STEM fields. Nine out of 10 parents said that they want computer science to be taught in schools; however, one quarter of all schools in the United States offer advanced computer science with programming and coding, according to Megan Smith, former U.S. chief technology officer. By 2020, there will be a 1.5 million-employee shortage in the cybersecurity field. 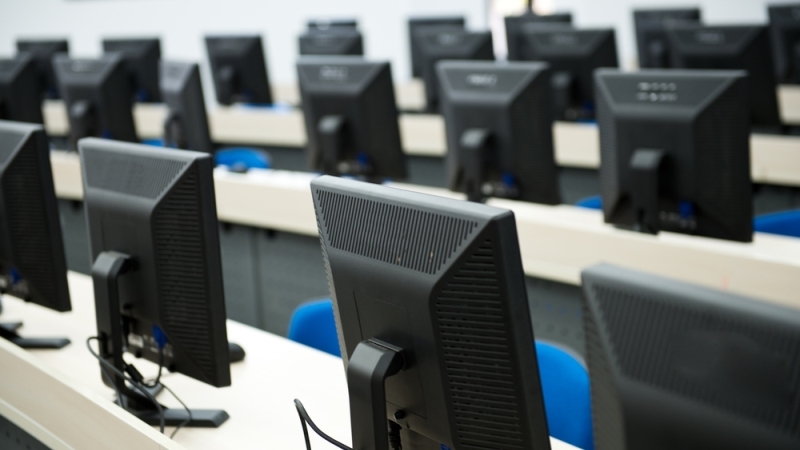 The Federal government faces a major shortage in cybersecurity talent, which has forced the government and the private sector to brainstorm new ways to teach STEM in schools. Robert Carey, vice president for cybersecurity, cloud, and UC Solutions at General Dynamics Information Technology, said that students need experiential learning in cybersecurity to be successful in their careers. Cybersecurity recruiters said that students applying for cybersecurity jobs have often taken college-level courses in cybersecurity theory but haven’t had the opportunity to sit in front of computers and defend networks. Carey said that the number of connected devices that people interact with requires people to have an extensive knowledge of cybersecurity. Carey compared cyber learning to parents teaching their children to look both ways before crossing the street to the point where the behavior is ingrained into people’s lives. Beth Dunphy, program director of cybersecurity technologies at IBM, sees IBM’s P-Tech schools as a possible solution to this problem. IBM’s school in New York City, Pathways in Technology Early College High School (PTECH), combines a high school and college program, which ensures that each student receives an associate’s degree within six years. Students earn a high school degree and an associate’s degree in applied science (AAS) from New York City College of Technology. IBM CEO Ginni Rometty said that there will soon be 100 schools that follow this method across the country.